to let you decide what the information is worth to you. As of 11th August 2015 I am making everything here freely available to anyone that is interested in learning more about plastering. The skills and tips that I am passing on to you have taken me many years of hard work to learn. then I ask that you make a small payment, as gratitude of the skills and tips that I am passing on to you. The following amounts are a guide only - whatever you are able to pay is appreciated. I will email you to say thanks. You'll then have my email address to contact me personally at any time in the future. The amounts are a guide only - whatever you are able to pay is appreciated. 1st Time to this site? Feel free to use the resources at this site, and return here in the future. I am taking a gamble here - in giving away all this information for free - so I really hope it all works out and human nature proves to be supportive. I ask that you make a small payment, as gratitude of the skills and tips that I am passing on to you - skills that have taken me many years of hard work to learn and understand enough, to present in an easy to understand way, so as to be passed on over the internet - to save the need to attend a college course or gain work experience on a building site. 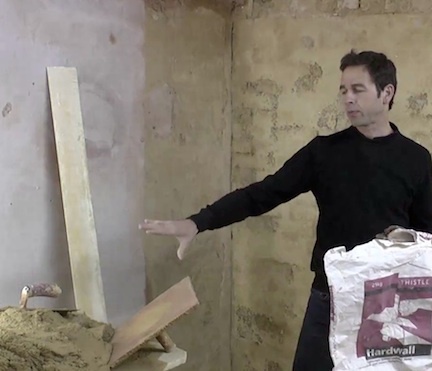 Everything I am showing you at this site, is a real short-cut to learning plastering - without the need to attend a college course or work on a building site. The more support the site gets - the more it can provide. There is a great deal more information, instruction and tips that I would like to provide, but it takes effort to produce and maintain. I am happy to do this, and also provide support to those that use the information, but it is something that I can not do if there is not enough support from the users of this site. If you have gained as a result of this site then I do ask that you help me, to help you some more. I am passionate about plastering and really like to think that others may get the same sense of achievement from plastering also - but I am just a plasterer, with limited funds and time and so your loyalty would really be appreciated.